One day there was a volcano called Mont Devil, but nobody really know why its called Mont Devil, because everyone who ever… “N00000! Uncle are you okay?-talk to me please ! ;_; ;_; ;_; – Find out why everyone is disappearing…. Filip 29 years later…- “now i can finish what i started”- Filip and his friends Luke,Noah and Billy went up to Mont Devil,they climbed higher and higher,until they saw scatteredbones every where and more higher they went more bones there was.They got very scared. So what lies ahead of us said Filip .When they reached the top and looked down in to the volcano heart – there was no lava, they just saw a black water …. I liked the part when you said “We have to finish what we started”. And when Fillip and his friends went up the Mount Devil. Faustas Cool Story My Fav Bit Is When This Happened NOOOOOO Uncle Are You OK? this story is very cool and amazing!!! Thank you Filip i will make more and keep up the good effort and have a good day. 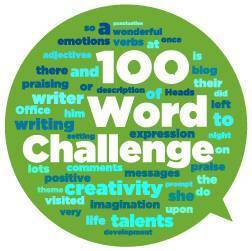 Well done on completing your first 100-word challenge. Mount Devil seems to be a great name for this volcano. But I’d love to know what was happening there. I think you should write a sequel.